I can’t remember the last time I saw a movie about golf and enjoyed, maybe in 1996 with Happy Gilmore? Caddyshack still stands up as one of the greatest comedies ever made (seriously!). Although other entries to the game may have been entertaining to a point, Tin Cup, The Greatest Game Ever Played, and The Legend of Bagger Vance, are all ones that come to mine. They aren’t films that necessarily stick with you. So, I think we are do for another good golf film. 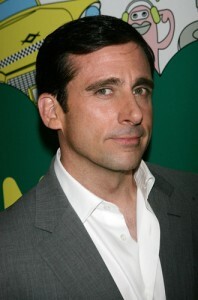 Well Steve Carrell might be bringing that to you very soon. Warner Bros. and Steve Carell are aiming for the fairway. The studio has acquired “Missing Links,” a golf comedy based on a novel from ESPN’s Rick Reilly, with Carell loosely attached to star as a golfer angling for a better place to play. Carell will produce via his Carousel Prods banner, while the company’s Vance DeGeneres and Charlie Hartsock are on board as exec producers. Bobby Cohen (”Revolutionary Road”) is also producing. “The Break-Up” scribe Jay Lavender is writing the screenplay. Greg Silverman will oversee for Warners. Reilly’s 1997 comedic novel tells of the group of bumblers who, after playing for years at a run-down municipal golf course in a working-class Boston neighborhood, concoct a series of schemes that they hope will lead to them teeing off at a nearby elite club. Like other television stars, Carell has a somewhat smaller window in which to shoot feature projects. Reilly is the longtime Sports Illustrated columnist, known for his irreverent brand of commentary, who two years ago left the Time inc. magazine to pen a back-page column for ESPN the Magazine and write for ESPN.com. Carousel and Carell are also producing the mood-swing comedy “Hi-T” for Warners. Tthe WME-repped Lavender is currently writing the “Links” script. Golf movies tend to come in cycles — “Caddyshack” in the 1980’s and “Happy Gilmore” in the 1990’s are among the notables –but there’s a small resurgence on the indie side with projects like “Q School” from “Little Miss Sunshine” producer David Friendly and “Tin Cup” director Ron Shelton. Leatherheads wasn’t all that great, but I think the time period it was set in didn’t connect with viewers looking for that brand of romantic/sports comedy. Although, something in the premise makes me think Wild Hogs: Go Golfing. The very thought of it makes me cringe. Let’s hope I can add another good golf movie to my arsenal sometime in the next couple years.